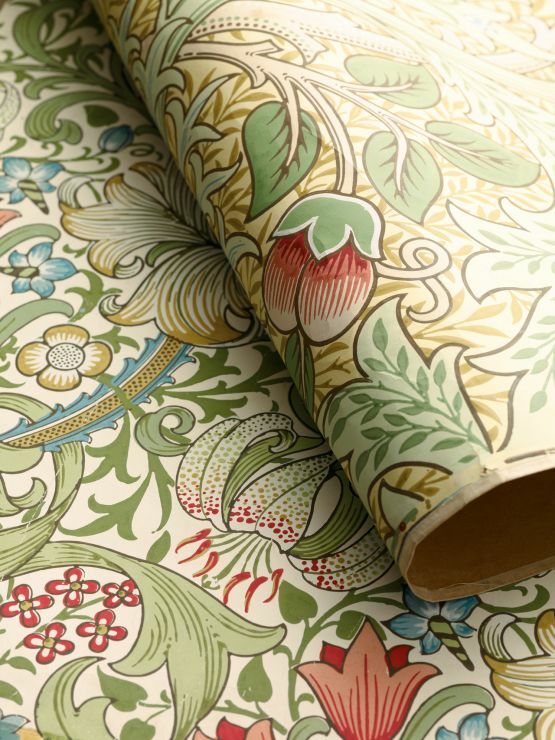 William Morris (1834-1896) is regarded as the greatest designer and one of the most outstanding figures of the Arts and Crafts Movement. 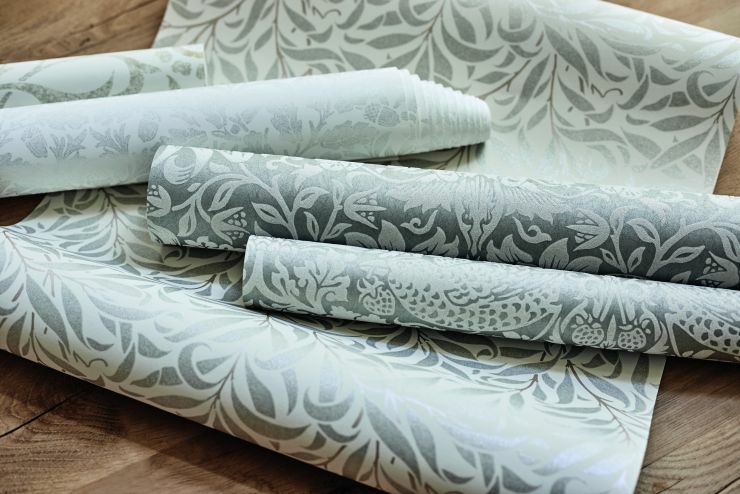 He is perhaps best known for his wallpaper and fabric designs but he also designed and made embroideries, tapestries and stained-glass, reviving many of the traditional arts which had been swept away by industrialisation. 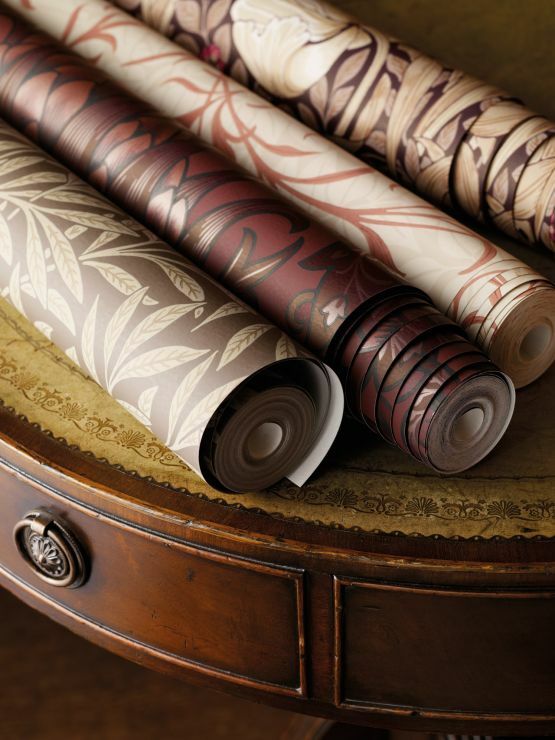 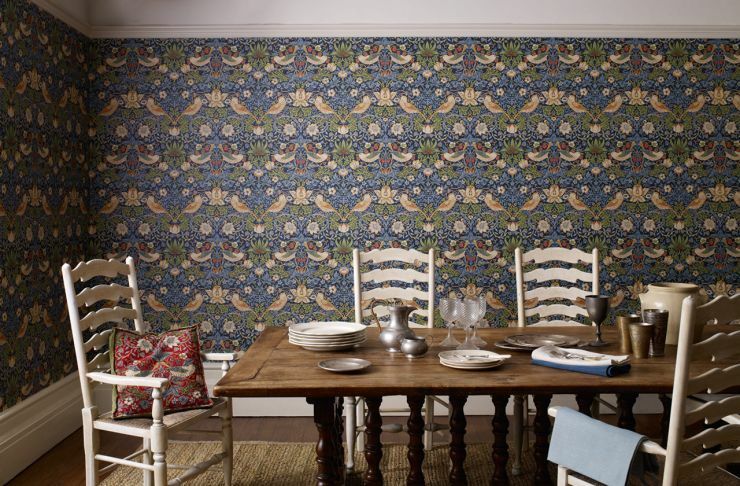 In 1862 Morris focused on designing wallpapers, starting with ‘Daisy’, ‘Fruit’ and ‘Trellis’ which were printed using wood-blocks in 1864. 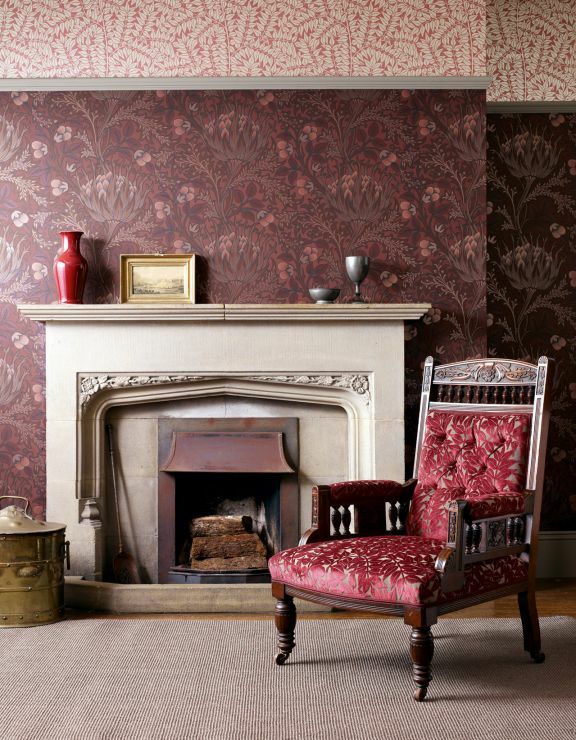 The pear-wood blocks were hand cut and prepared by the specialist firm, Barretts of East London. 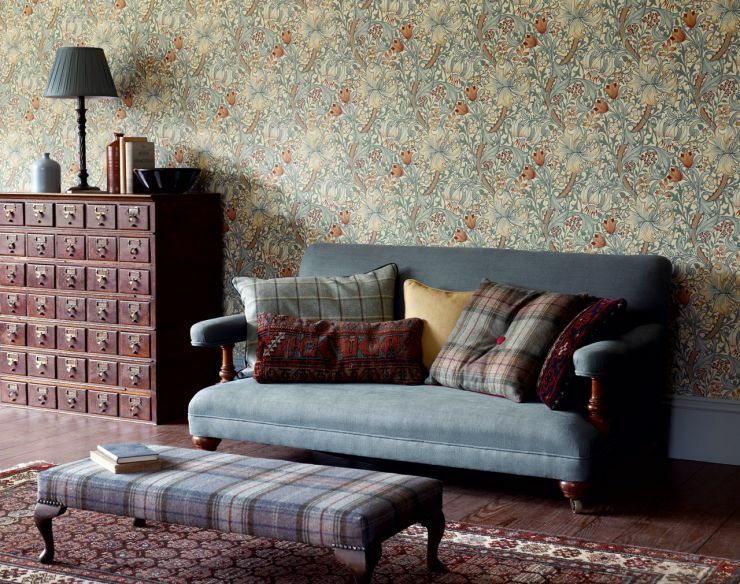 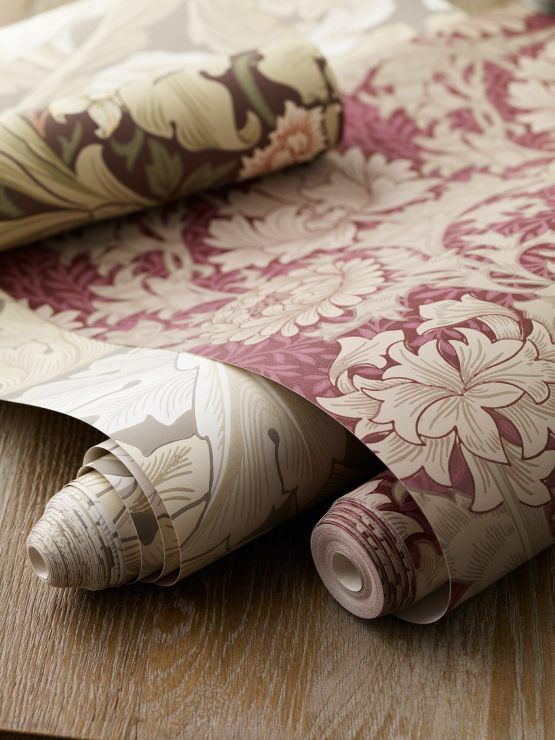 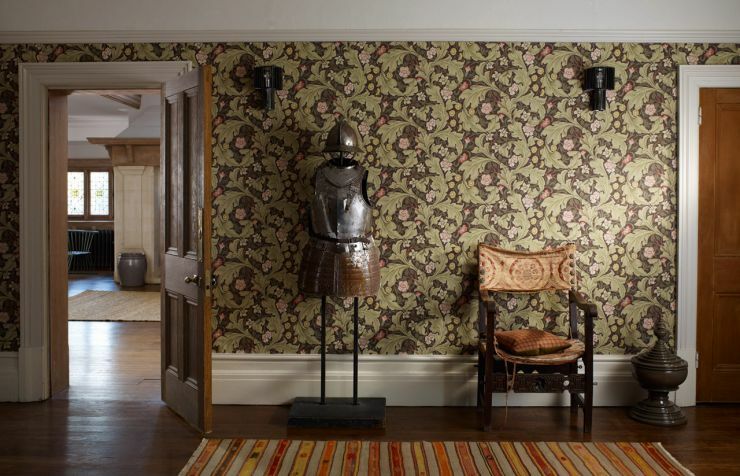 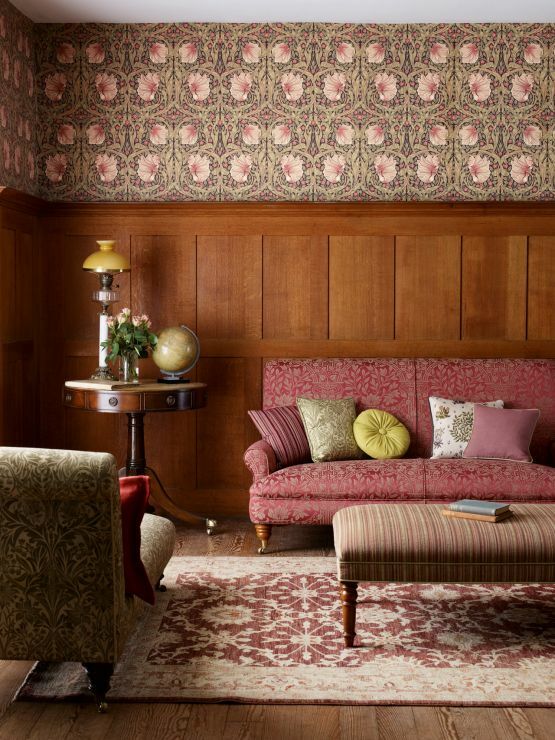 Morris & Co. celebrated its 150th anniversary in 2011 with a new collection of archive based prints, weaves, embroidered fabrics and surface-printed wallpapers, along with new designs inspired by the life and work of William Morris and his circle.